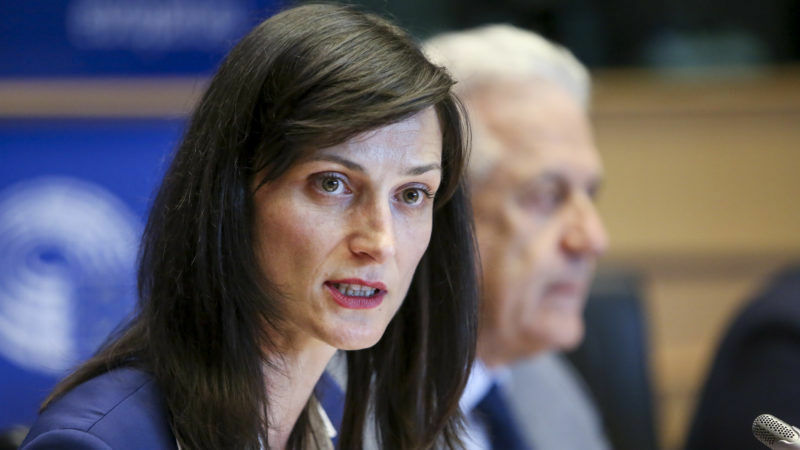 New EU Digital Commissioner Mariya Gabriel will set up an expert group this autumn on fake news as one of the first measures she is taking in the job. Gabriel took office in July and is preparing to set up a high-level expert group to advise her on fake news, she told journalists on Tuesday (29 August). She will also spend the next two or three months drafting a public consultation on fake news—a detailed call for feedback on specialised topics, which can often feed into new EU legislative proposals. But Gabriel said she has not made up her mind about whether there is a need for a hard law on the EU level to deal with incorrect news reports that are often spread online. “It’s premature to talk about legislation,” Gabriel told reporters. Gabriel said that she has so far only planned to open a public consultation and form the group of external experts who can advise her on fake news. But she intends to “say very clearly that [online] platforms have a duty of care”, a legal term meaning that internet companies like Facebook or Twitter would need to take some level of action to monitor what their users post. “For me it’s also very important to identify best practices, to identify very clearly a mechanism of coordination and figure out what we can do as the European Union: what is our added value in the fight against fake news,” Gabriel added. 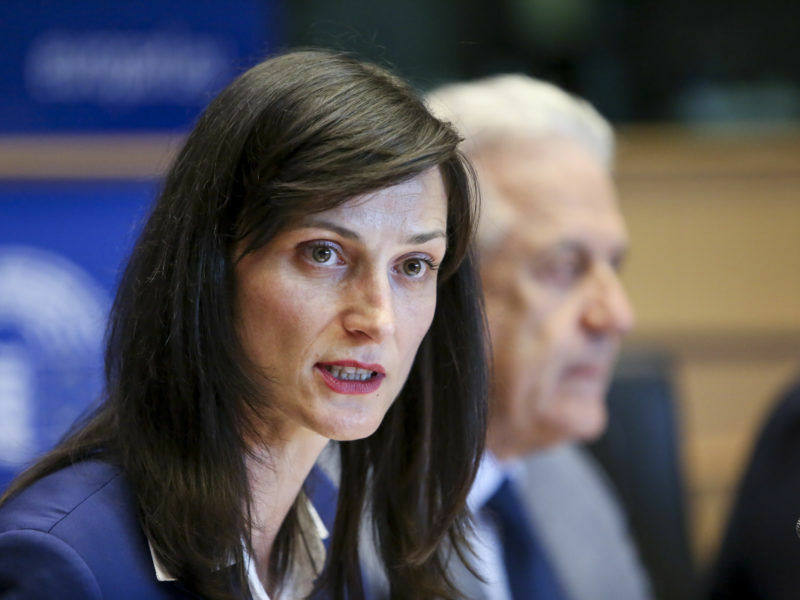 Less than one month after taking office, the newest EU Commissioner, Mariya Gabriel, has filled several spots in her cabinet. The European Commission is expected to announce measures next month that will set common requirements for when firms should remove illegal content that users post to their online platforms. A group of MEPs asked the Commission this spring to make sure the measures are part of new binding legislation that will create common rules across the bloc as a way to avoid overzealous rules that differ between EU countries. But tech companies have been wary of the announcement and warned that it should not limit an existing EU law that guarantees that they are not legally responsible for what their users post. Some member states have put pressure on the Commission to announce new measures on fake news and illegal content on online platforms. Germany introduced its own national law earlier this year—opening social media firms up to fines of up to €50 million if they do not remove illegal content like hate speech. Other member states have shown interest in following Germany’s example. “Additionally to national laws and practices, it is very clear that we need a European approach,” Gabriel said. Gabriel did not indicate who she would like to have in an expert group advising her on fake news. But she said that it is “really important to work all together, including researchers, media, member states and EU institutions”. Membership in the EU executive’s expert groups can vary in terms of size and the kinds of organisations that participate. A recent high-level expert group that advised the Commission on sustainable finance included 20 representatives from civil society organisations, research groups and private companies. There are ten experts in a high-level group that the Commission set up this year to focus on a European cloud computing project. 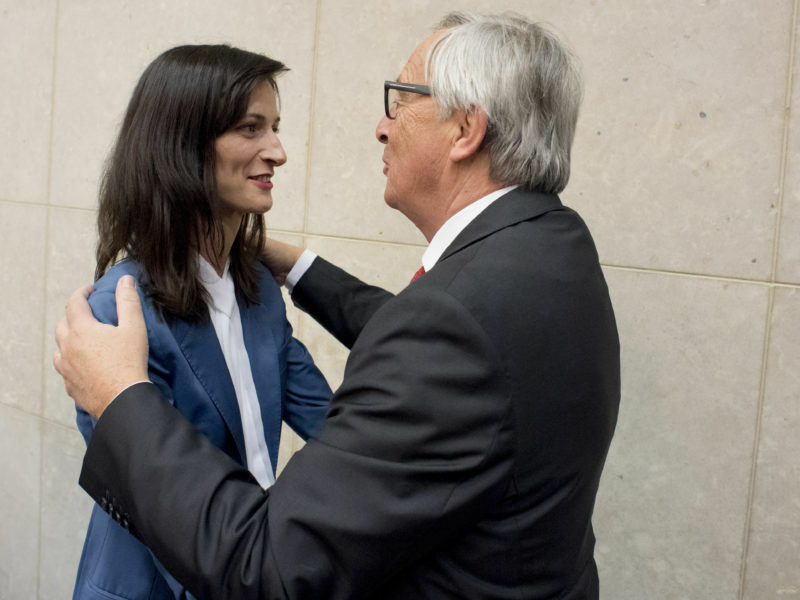 European Commission President Jean-Claude Juncker asked Gabriel to work on fake news in his mission letter to her this May, when she was tipped to take over the digital portfolio job. “The Commission needs to look into the challenges the online platforms create for our democracies as regards the spreading of fake information and initiate a reflection on what would be needed at EU level to protect our citizens,” Juncker wrote in the letter. Gabriel will only serve half of a term as Commissioner. She became an MEP in 2009 and left the Parliament when she became an EU Commissioner this summer. She was head of the Parliament’s delegation of Bulgarian centre-right MEPs. At 38 years old, Gabriel is the youngest ever EU Commissioner. She replaces Kristalian Georgieva, Bulgaria’s previous Commissioner who left her post at the end of 2016 to take a job at the World Bank. Fake News being, of course, any facts that go against the governments politically correct views.